Antibiotic resistance is turning into a global healthcare problem. The exponential growth of metagenomics data has contributed to creation of more accurate and fastest algorithms. DeepARG is a machine learning solution that uses deep learning to characterize and annotate antibiotic resistance genes in metagenomes. It is composed of two models for two types of input: short sequence reads and gene-like sequences. 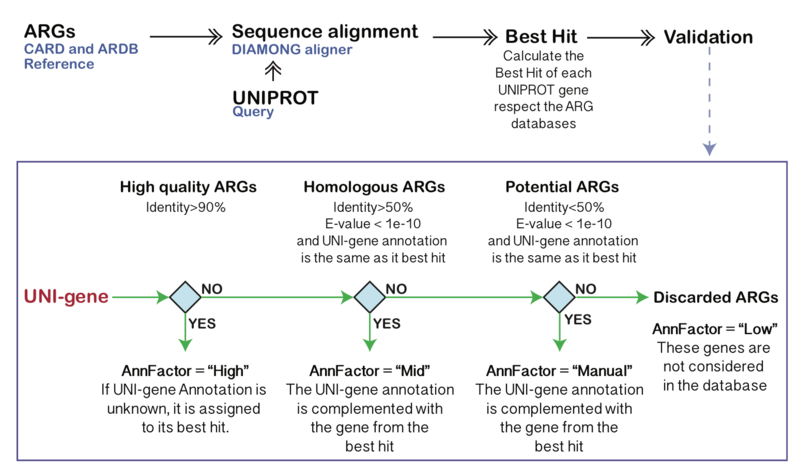 DeepARG is able to annotate short sequence reads from Next Generation Sequencing (NGS) technologies such as Ilummina. This model has been trained with simulated antibiotic resistance reads to perform better with metagenomic samples. DeepARG is able to predict antibiotic resistance in long gene-like sequences. This model is suitable for annotating full sequence genes and to discover novel antibiotic resistance genes from assembled samples. Important! DeepARG-DB has been under continuous inspection in order to improve the quality of the models. As result, we created a new online resource called ARGminer that allows the manual inspection of ARGs. We have included the neccesary steps to re-train the deepARGs models or to create your own deeep learning model using the architecture of deepARG. Please look at the Bitbucket README file for details in the DeepARG repository. The deepARG models have been designed for computational analysis of next generation sequencing data such as Metagenomes. The main contribution of the deepARG models are their low false negative rate during predictions. Also, the gene-like sequences model is designed to find novel ARGs based on the sequence homology. The pipeline can be used as an stand alone program. It was developed in python 2.7 and requires (optional) DIAMOND for making the alignments. The source code can be downloaded from this Git Repository hosted in BitBucket. Nolearn lasagne deep learning library. Replace path = '/home/gustavo1/tmp/deeparg-ss/'; with the current directory (deepARG path). New! (9/6/2017) We are excited to release a new version of our deepARG online analysis. The DeepARG webservice (beta) is a tool with fully automated data analysis pipeline for Antibiotic Resistance annotation of raw metagenomics samples using the deepARG algorithm and our developed database (deepARG-DB). You just need to upload your raw sequence reads (*.fastq.gz) and our service will take care of everything else. Our pipeline first removes low quality reads using TRIMMOMATIC, then, reads are merged into one big file (VSEARCH) and are submited for classification to the deepARG algorithm. Results are normalized to the 16s rRNA abundance in the sample. DeepARG webservice has a very simple web user interface for the annotation of ARGs from metagenomes. 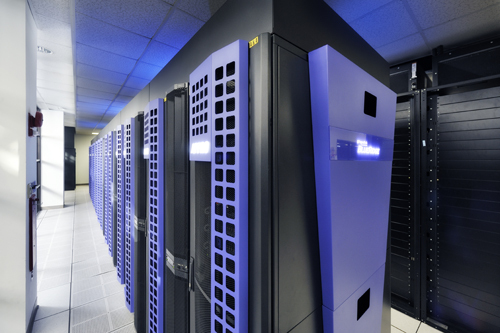 It runs under the ARC (advanced research computing) center at Virginia Tech which guarantees a stable computing environment. ARG-miner is a web service dedicated to the inspection of ARGs by using experts and crowdsourcing workers. It is designed with the aim to improve the quality of the ARG annotations. Indeed, the DeepARG-DB was the starting point for this database. Currently, few gene annotations have been inspected and accepted by our team. In the future, this database will be the used to update our deepARG models. MetaStorm is a WebService developed for Functional and Taxonomic analysis of Metagenomes from Next Generation sequencing reads. MetaStorm incorporates several functional databases such as ACLAME, COG, UNIPROT, CARD, ARDB, BACMET among others. ARGPore (Antibiotic Resistance annotation from MinION nanopore sequencing reads) is a web platform developed for the analysis of antibiotic resistance from environmental metagenomics samples obtained with the MinION nanopore sequencer (under testing). To cite DeepARG, please refer to the link below. NSF Partnership in International Research and Education (PIRE). 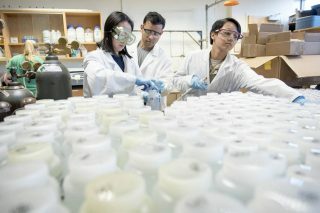 HEARD: NSF Halting Environmental Antimicrobial Resistance Dissemination. Effective Mitigation Strategies for Antimicrobial Resistance program. The Virginia Tech Institute for Critical Technology and Applied Science Center for the Science and Engineering of the Exposome (SEE). 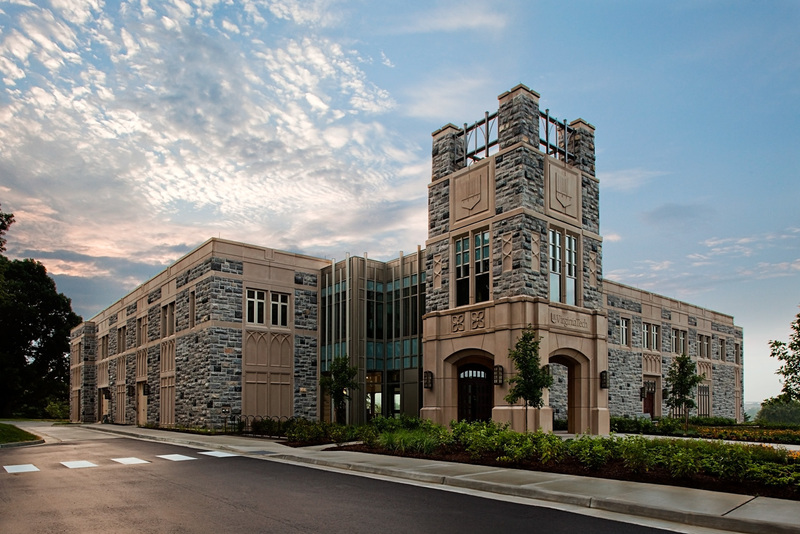 The Virginia Tech Sustainable Nanotechnology Interdisciplinary Graduate Education Program (IGEP). We strongly recommend to contact us via our blog as other users may find your questions, issues or comments useful too.